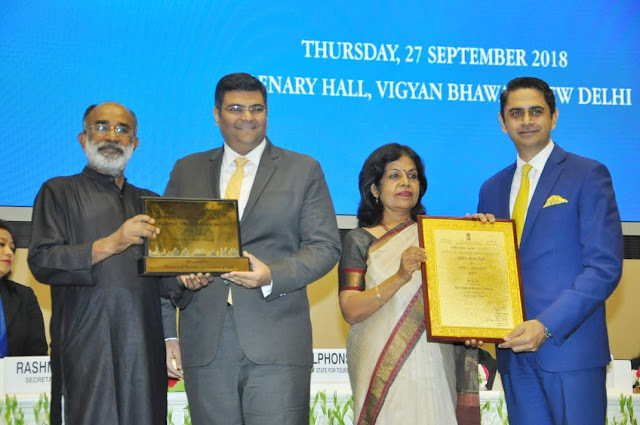 Commemorating World Tourism Day, the Ministry of Tourism organized the National Tourism Awards at Vigyan Bhavan, New Delhi, on September 27, 2018. Minister of Tourism Mr. KJ Alphons graced the occasion as the Chief Guest and gave away awards in various categories. 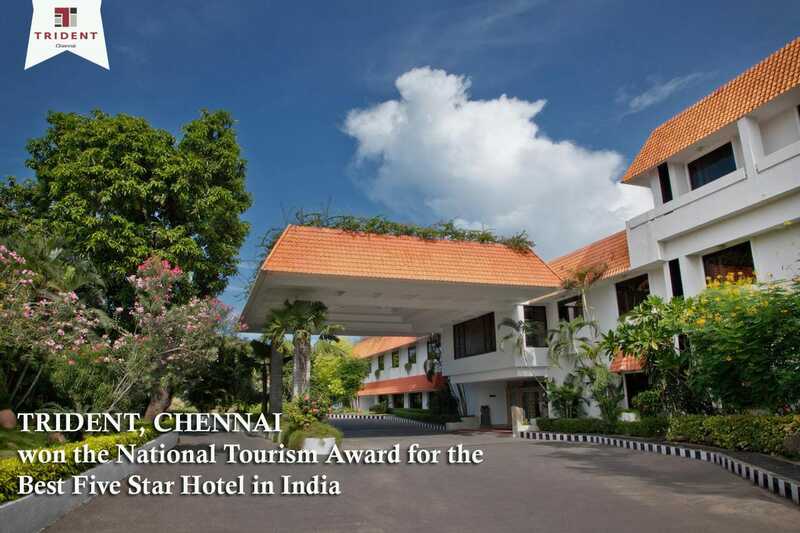 Trident, Chennai won the “National Tourism Award for the Best Hotel in the 5-Star Category”. “We’re humbled to be among those recognized as the best of the best. It is a matter of great privilege and honour to achieve this prestigious accolade from the Honorable Minister of Tourism, KJ Alphons.”– Mr. Amit Saincher, General Manager, Trident, Chennai. Trident, Chennai represents the beauty of Indian culture and brings to life the steadfast commitment to excellence – in every single detail of our guest experience. 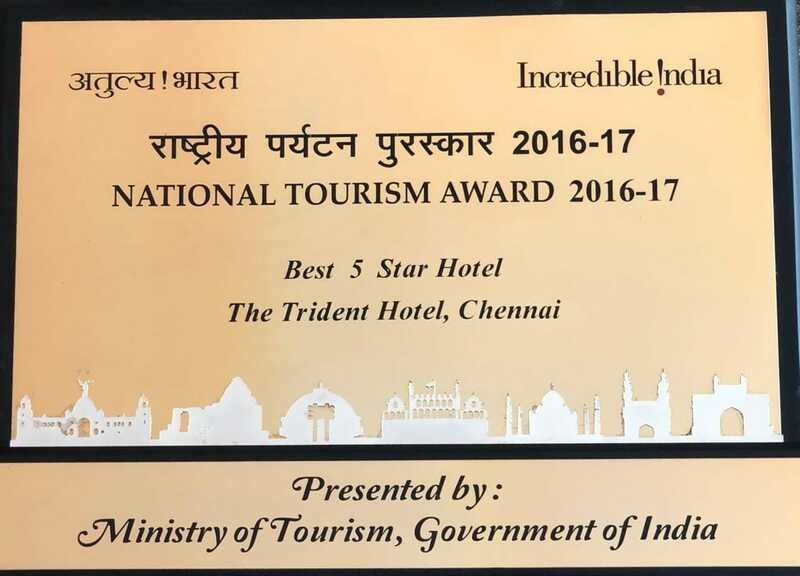 Amit Saincher, General Manager, Chennai said, " No words can describe how honored we are to have won this esteemed award. 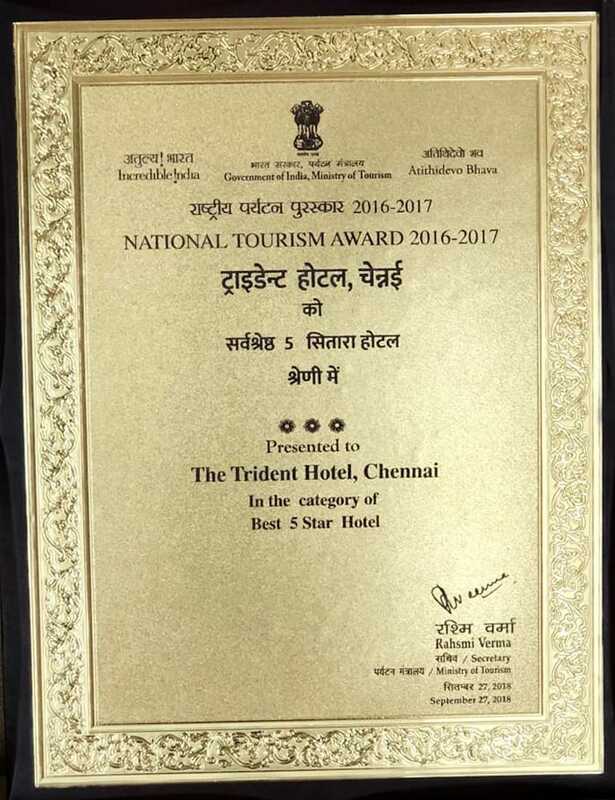 We at Trident Chennai will continue to go the extra mile to deliver outstanding performances with sheer determination and hard work. Our guests have placed us at the as the leading five star hotel, and we intend to continue delivering great experiences and exceeding the expectations of our guests." The ultimate lifestyle hotel, Trident, Chennai houses 167 stylish guest rooms and suites, gastronomical excellence, an elegant spa and fitness centre, and magnificent event spaces in the heart of the city. Saincher further commented, "This recognition is the best honor we can ask for and our team is genuinely invested in making sure our guests have a memorable and enjoyable stay, whether they are on vacation or business."